Get ready for one of the coolest hardcover collections of The Walking Dead ever! 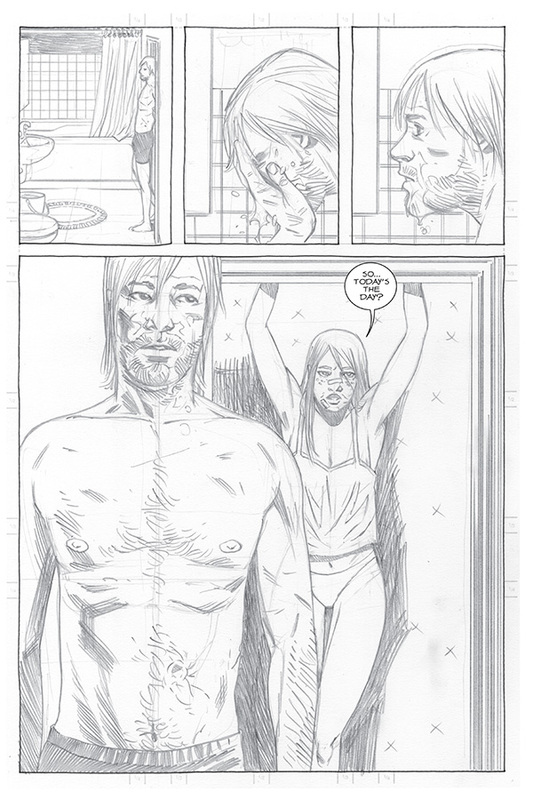 Later this year, Image Comics is releasing the mega story arc, All Out War in a 248 page hardcover collection, but the most exciting part is that the art will all be artist Charlie Adlard’s original pencils uninked and unaltered. This will be the first time All Out War has been collected as a whole, showing the entire 12 issue saga of Rick uniting the survivor communities to battle Negan and his “Saviors”. 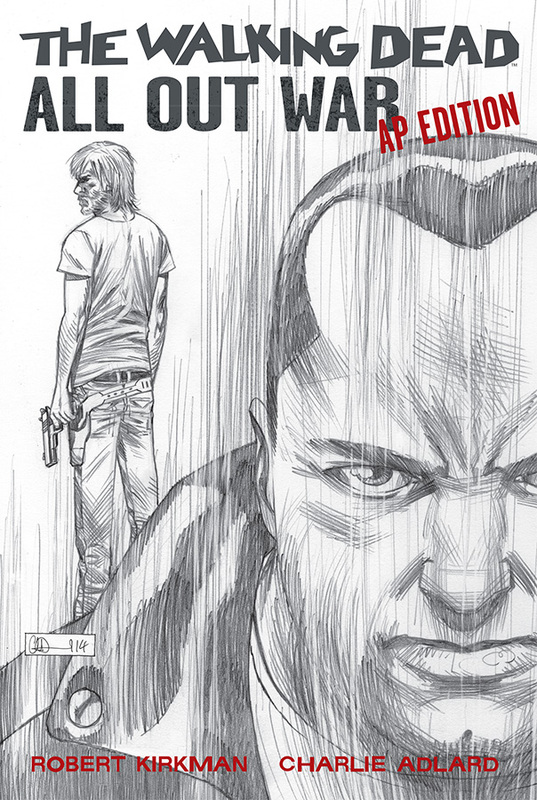 The Walking Dead: All Our War AP will hit comic shelves on October 1st and follow to bookstores on October 8th. Below check out a preview of this beautiful collection!